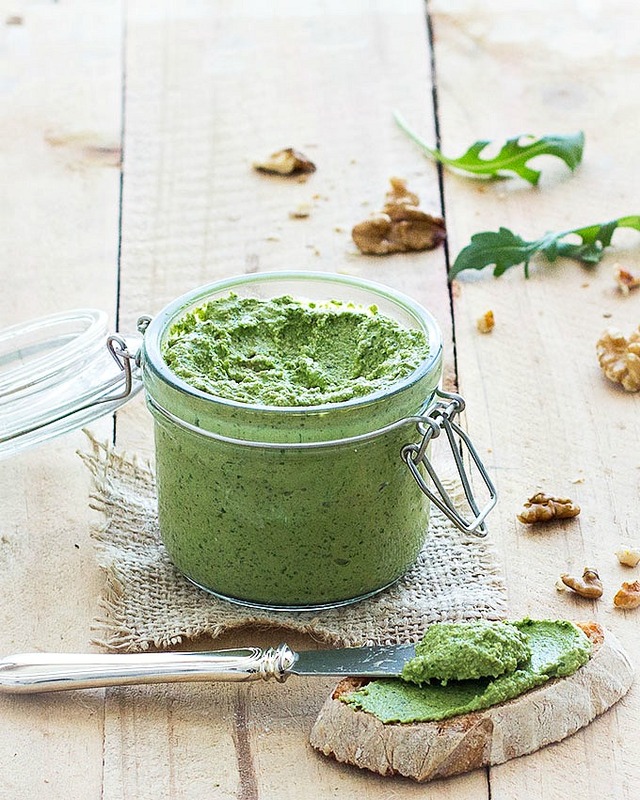 I love the bright green color and peppery flavor of this arugula walnut pesto. It’s thick, creamy and rich in flavor. Making pesto is very easy. Using an immersion blender, mix all the dry ingredients with a couple of tablespoons of water first, then add the extra virgin olive oil one tablespoon at a time. Process until creamy and smooth. If you don’t have an immersion blender, use a food processor. As there is no parmesan cheese or pecorino cheese, this pesto is vegan and healthier than the regular basil pesto. The taste isn’t even a little bit compromised by the lack of cheese, promise! 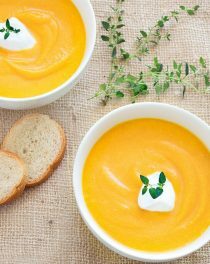 You can serve it with pasta, as a dip for chips or crackers or spread it on sandwiches. If you use the arugula walnut pesto with pasta and is too thick for your liking, thin it out a bit with the cooking water (the water in which the pasta is cooking), just before serving. Stored in an airtight jar, it will keep in the fridge for up to a week. You can also freeze it for up to 3 months. Put into an ice cube tray and place in the freezer for 2 hours. Remove the frozen pesto cubes and store in a resealable plastic bag. 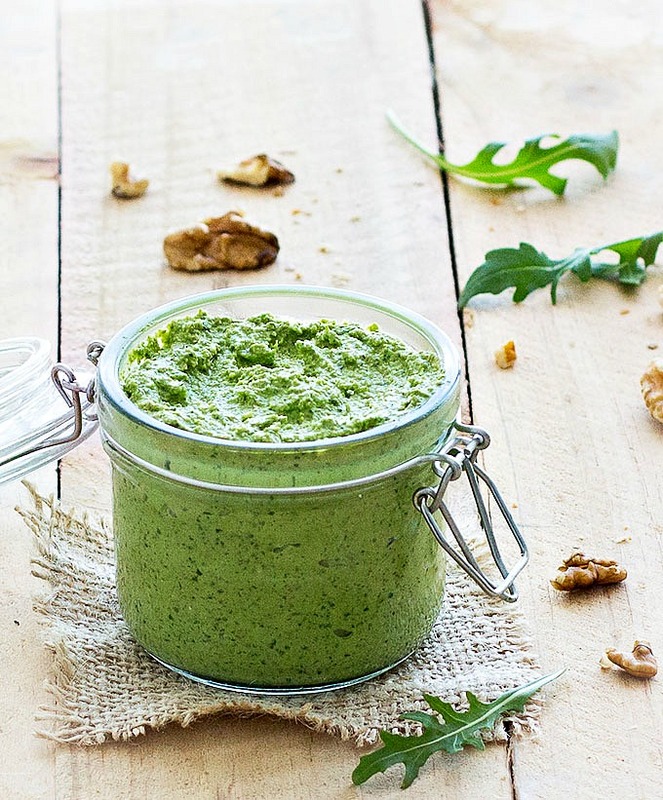 This arugula walnut pesto will liven up every meal it touches, giving it a vibrant kick! 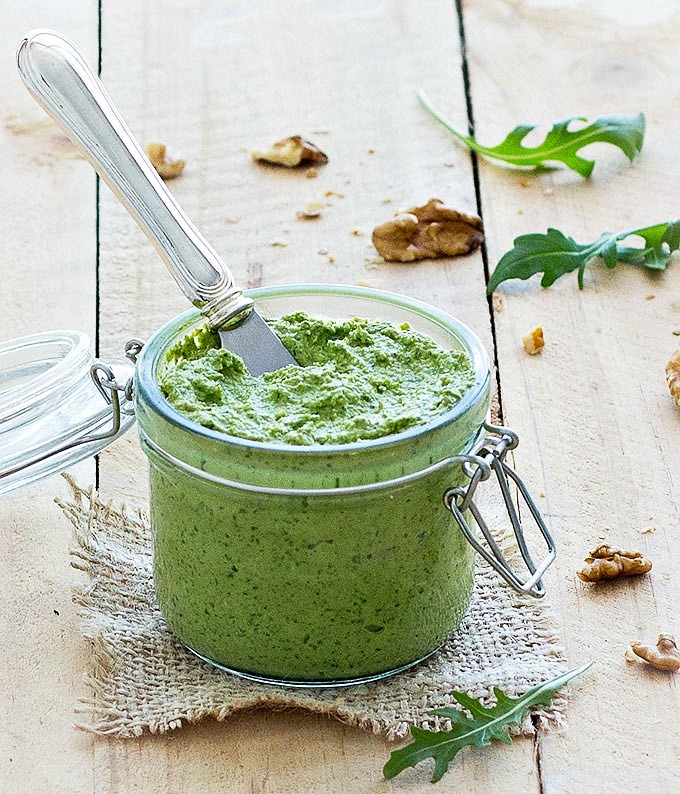 This vegan arugula walnut pesto is thick, creamy and rich in flavor. As there is no cheese, it's vegan and healthier than the regular pesto. In a tall container, put all the dry ingredients and 2 tablespoons of cold water. Using an immersion blender, chop the ingredients for a few minutes then pour in the extra virgin olive oil (a little at a time) and blend until creamy and smooth. 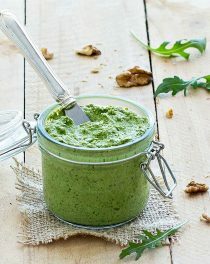 If the arugula walnut pesto looks too thick, add more water until it reaches the desired consistency. Ooo this sounds good and looks fab, too! I love using arugula in pesto. Will try the walnut-combo! 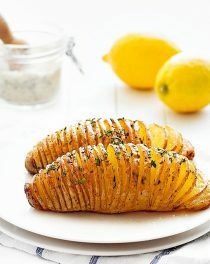 I love this idea and I love the peppery bite of arugula. This pesto must be so tasty. This pesto looks and sounds so good. I think I’d eat it with a spoon. Pinning. I love making my own pesto. Your version looks delish. This is beautiful! 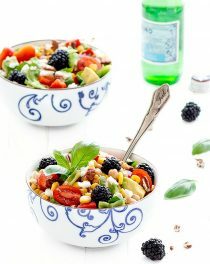 I love that you used arugula… that peppery flavor must be fabulous in this! Thanks for the recipe. I’ve yummed it for later. I was in need of a pesto recipe and this sounds marvelous! Made this the other day and put it on some gnocchi- SO GOOD!! Very good! You’re right, I didn’t miss the cheese, nor did I feel any inclination to add nutritional yeast like so as many pesto recipes call for. I didn’t add the water called for, but then I only spun the leaves dry so the water clinging to them was enough. Used a regular blender instead of an immersion blender. Added the walnuts after pureeing the rest so I could leave them finely chopped instead of completely smooth. Used the leftovers in lasagna. Thank you for the recipe. I ambitiously bought a buuuunch of arugula, only to watch it slowly begin to wither in my fridge. 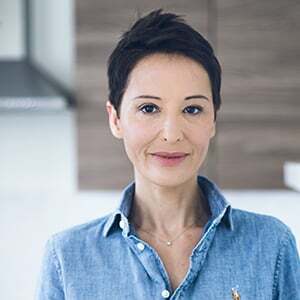 I googled “vegan arugula recipe” and your recipe came right up. I’m so glad! This is DELICIOUS!! I had no idea the combination would turn out so peppery, so delicate. Now it’s been a long time since I had cheese but it definitely had a creamy consistency, even before I added the olive oil. The walnuts did great work. I actually doubled the recipe because of the sheer quantity of arugula I had on hand; next time I might triple it because this is going to go on SO MANY THINGS. I am so glad you liked this recipe, Tina!